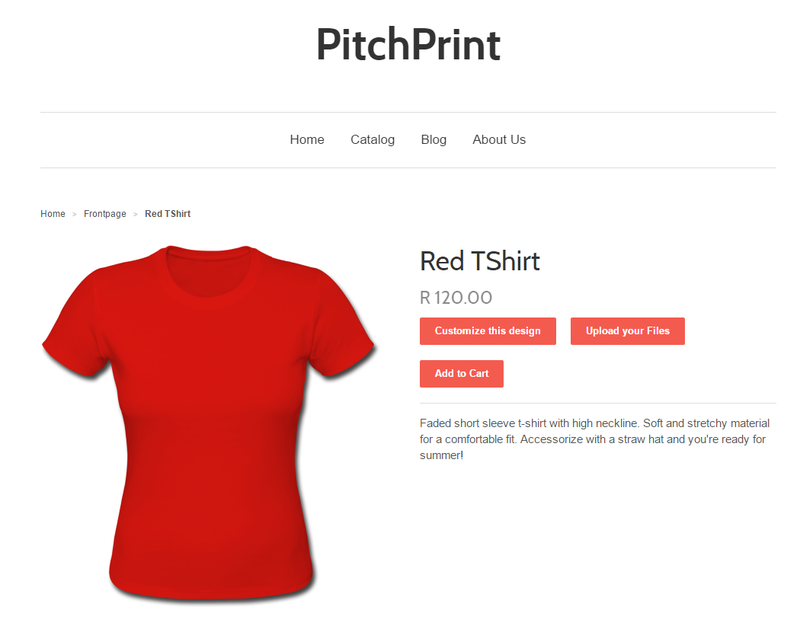 PitchPrint for Shopify allows your site visitors to customize products on your site to their taste and needs right from your website. So business cards, TShirts, Mugs, Letter Heads etc can be customized by your customers to their look and feel before adding to cart. To get started, you need to first first create your Shopify Store. If you have not, you can do that freely on www.shopify.com and afterwards, login to your Shopify store’s admin and then go to Apps. In apps, search for “PitchPrint”. 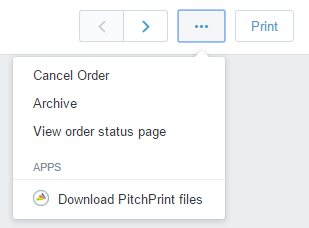 Then install the PitchPrint app. In the Dashboard page, click the designs link. In the Designs page, you get to create custom designs that you can assign to your products. This makes it easy for your customers to get started as against starting a new design afresh. 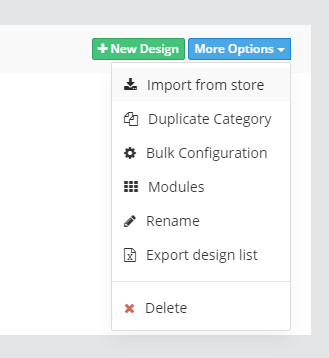 Alternatively, you can import designs into a category from our designs stores by clicking the Mode Options on the top right corner of the category. To assign your design to a product, simply mouse over the product and you will see two options: Upload and Assign Design. Upload allows your customers to upload their existing designs rather than modify yours. This is a toggle button. Assign design allows you to assign a design to the product. 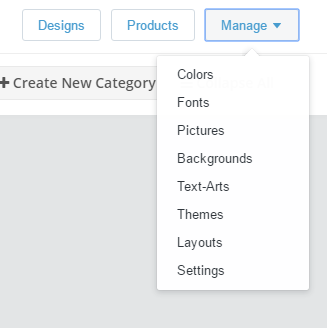 You can also assign categories to the products so that your customers can pick from a whole design category as against a single design. 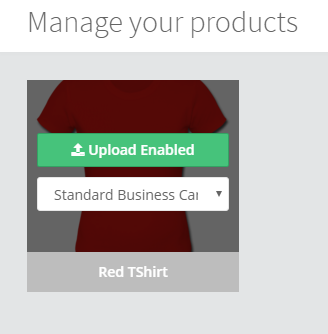 Once you have assigned a design to the product or enabled uploads, check your product page, you should find the Customize Now or Upload button there.